Harmine: Future Diabetes Drug Class? A novel drug candidate, harmine, can trigger human insulin-producing beta cells to multiply, new research has shown. Findings from the study funded by JDRF and the National Institutes of Health are published in Nature Medicine. Scientists designed a sensor to glow when any compound activated the part of the promoter DNA responsible for turning on the c-MYC gene, a driver of cell division. After screening over 100,000 potential drugs, only harmine drove the division and multiplication of adult human beta cells in culture. It also increased the number of beta cells three-fold and led to better blood sugar control in three groups of mice designed to mimic human diabetes. 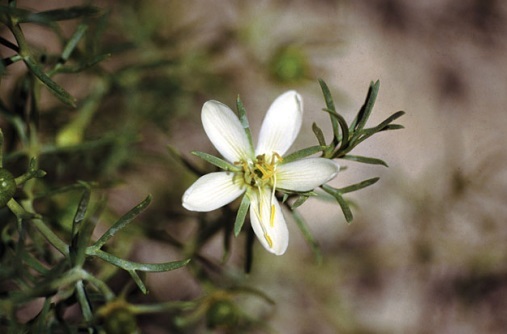 Harmine is derived from a flowering plant called Harmal (peganum Harmala) found in the Middle East and from some South American vines. It is believed that harmine is likely targeting a specific enzyme called dual specificity tyrosine-regulated kinase-1a (DYRK1A). Researchers noted that the level of human beta cell proliferation caused by harmine may be relevant for diabetes treatment but further research is needed to improve its specificity and potency. Close more info about Harmine: Future Diabetes Drug Class?